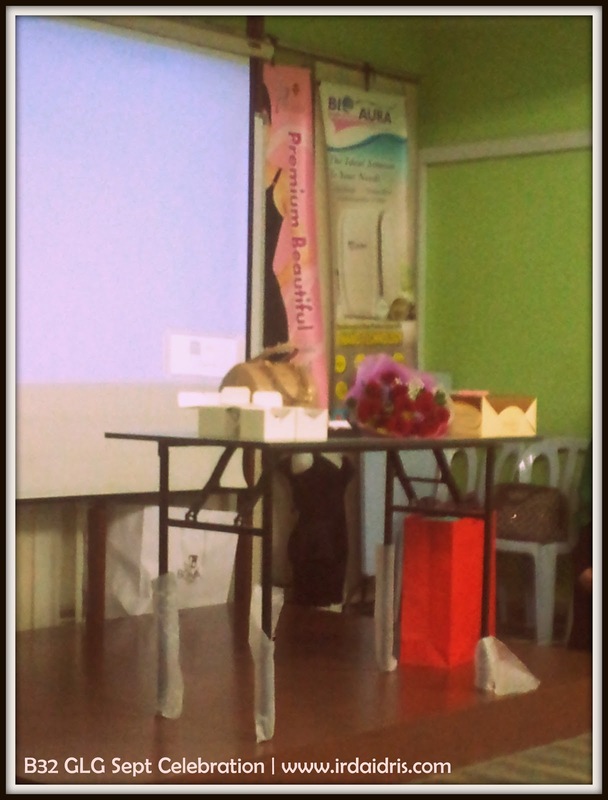 Every month our stockist ie B32 owner, CDM Chan & Madam Lam will do a reward night for achievers for the month. Example of rewards will be branded watch for "Jam Tangan Achievers" ie those who manage to secure sales of RM100,000 or more for the month, branded business pen for those who reached Double Diamond Manager level and a branded handbag plus cake cutting ceremony for those who had reached Crown Double Manager. For September 2012 celebration, for first time ever there were 2 ceremonies held because there were too many qualifiers. And guess what, 1 award night were held just to celebrate Green Leaders Group achievers only... Wow.. Amazing right? 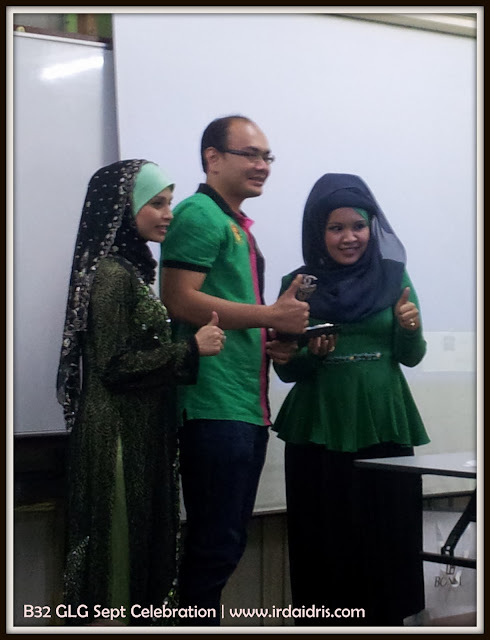 So, on last 24th October 2012 (Wednesday), we headed to B32 for the weekly Wednesday class..
CDM Sha Khalid in action. 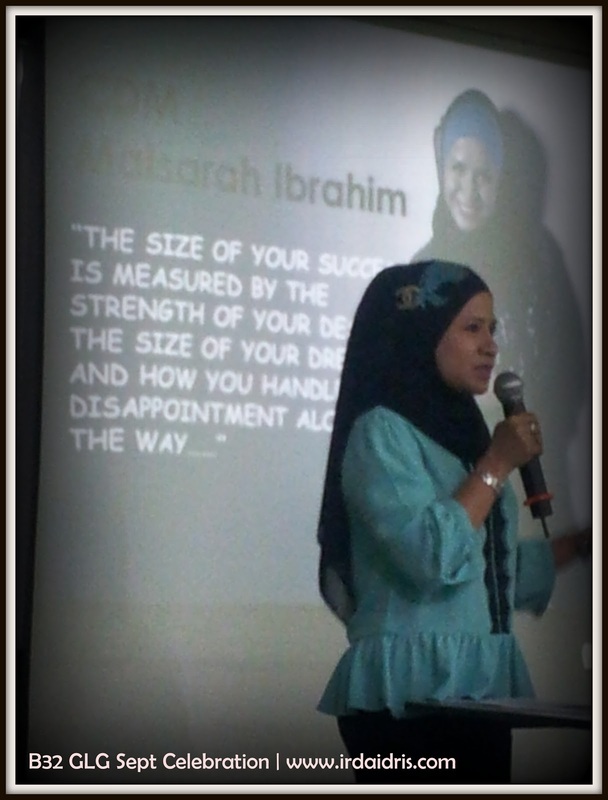 Sharing her experience in the business and also introducing the next speaker ie CDM Maisarah. 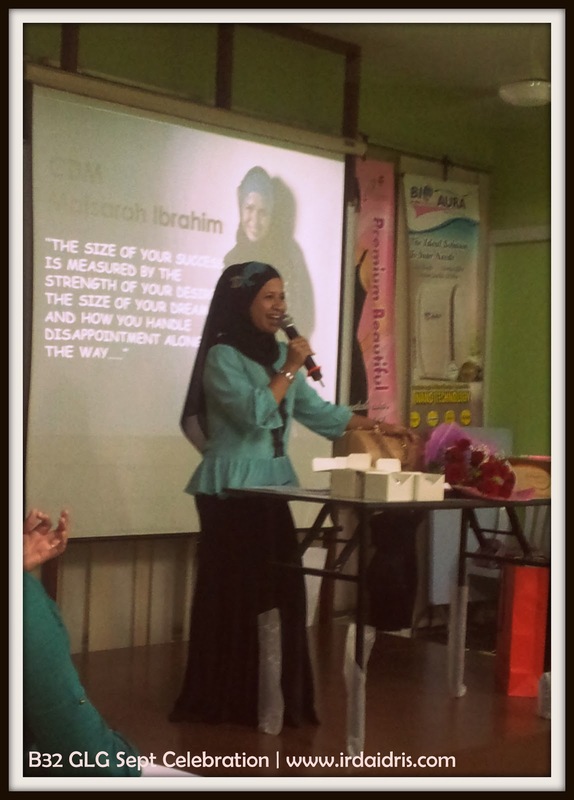 CDM Maisarah Ibrahim, the 1st business partner of CDM Hanis Haizi.. Have been going through ups and downs with CDM Hanis Haizi for more than 3 years together. She shared with the class about the topic of "Rejection and How to Overcome It". A good sharing I would say..
After the sharing by CDM Maisarah Ibrahim, its the time for the award giving ceremony... First, the 100G receivers ie awards for RM100,000 sales for a month. They received designer watch each. One of the receiver for Double Diamond Manager award - prize = designer business pen. Another Double Diamond Manager, husband of CDM Adibah Karimah. 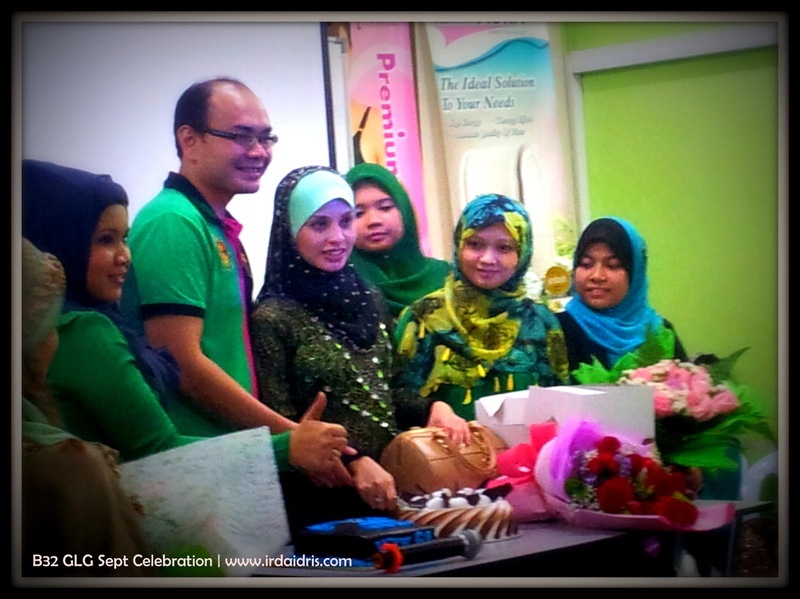 Who said that that business is only just for women.. DDM Dr Hasbi Harun is a medical doctor ok guys.. If he can do it, so can you!! 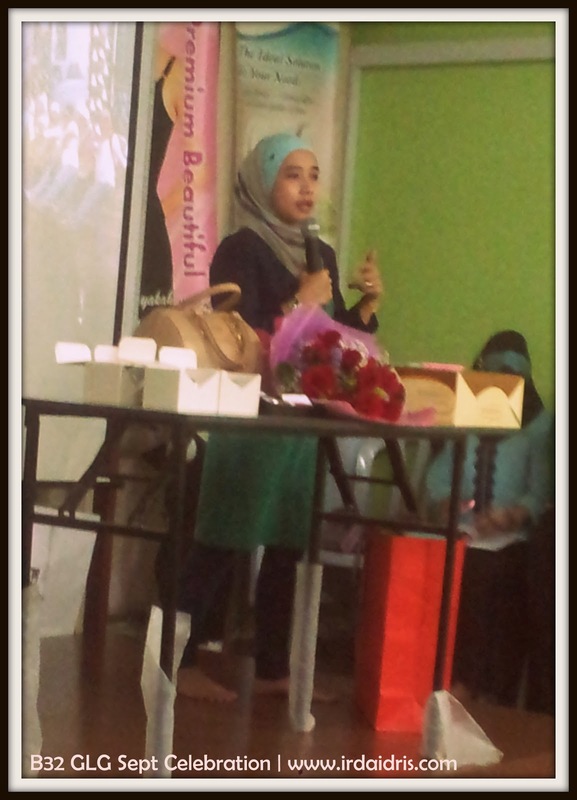 Now is CDM Hanis Haizi turn to introduce the new CDM. 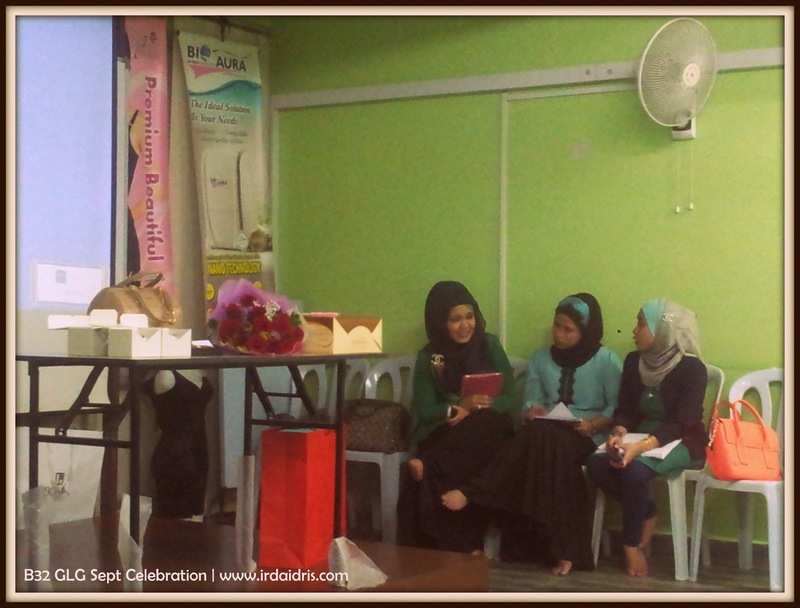 Besides that, CDM Hanis Haizi also share about how she met CDM Adibah Karimah a year ago in Kedah. CDM Adibah Karimah cutting the CDM Cake with her business partners and mentors. She is a 26 year old mom of 2, now is 7 months pregnant. Used to be a full time housewife. 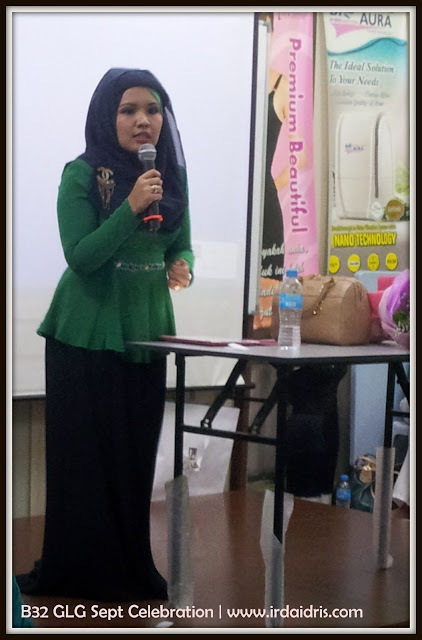 Then she ventured into a conventional batik business but as time pass, her debts are also high.. She closed down her business and ventured into PB business. The first time she joined the business, luck was not at her side. She got into the wrong group. 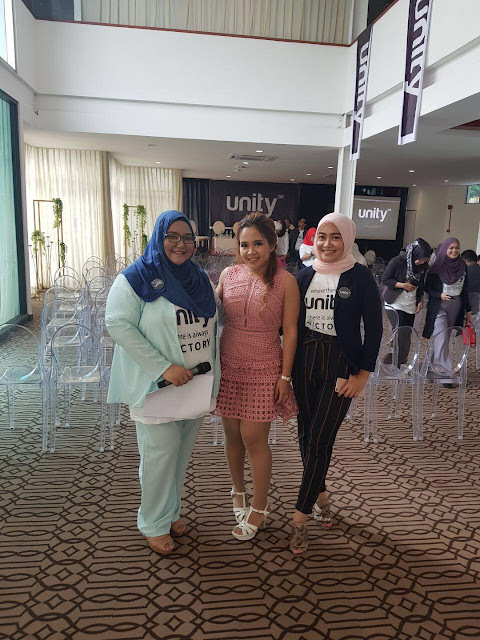 A year ago, she called up CDM Hanis Haizi to meet her in Kedah and she never turned back. She rejoined the business and guess what, success is on her side. That's why it is important to join the correct or right group.. With her hardwork and guide from mentors, she managed to be a CDM in only a year and had just changed her ride to a new F30, BMW 3 series in the month of October 2012. I am so proud of her achievements. She had achieved so much at the age of 26. 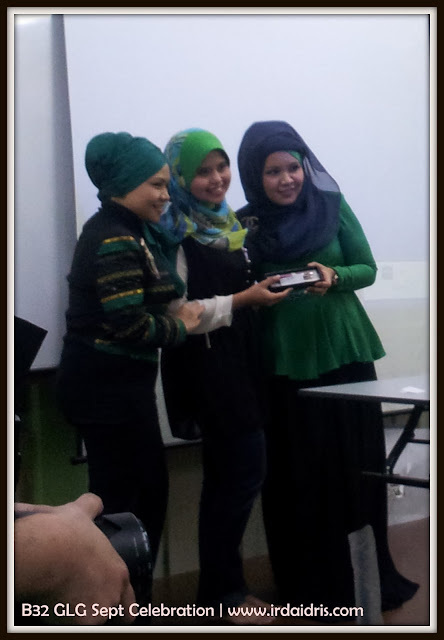 After the class and award ceremony, as usual we have an O Group session with CDM Naa Kamaruddin. 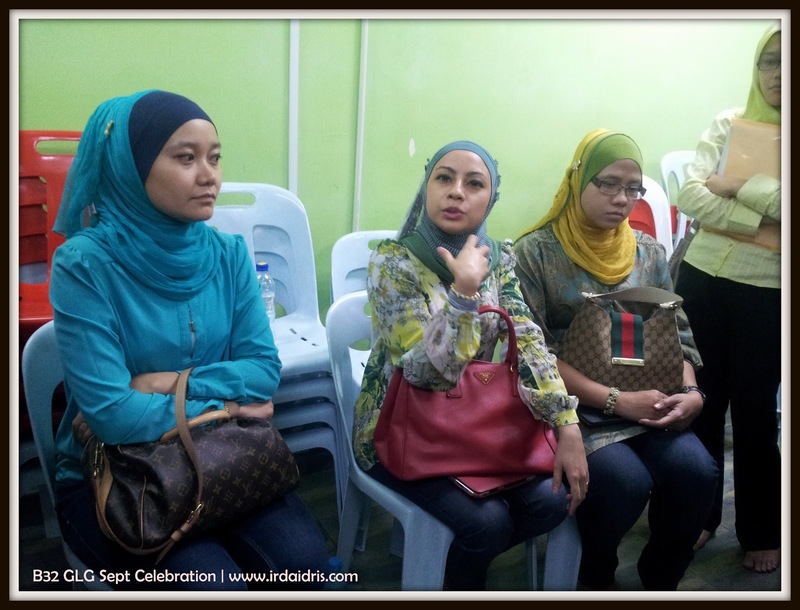 Remember at my last post I told you about DDM Cik Cida. 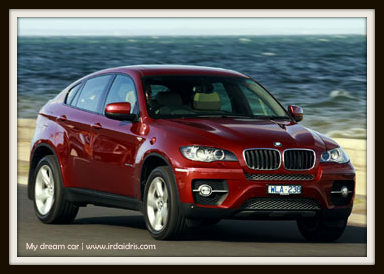 Guess what.. her blue 3 series BMW is out! Yay!! So after our class that night, we all take the chance to grab the aura and motivation and posed with Cik Cida's new ride.. Us Beautiful Circles and Professional Intelligent Network members!! Me with Cik Cida's new ride..
Me with my mentors BMW..